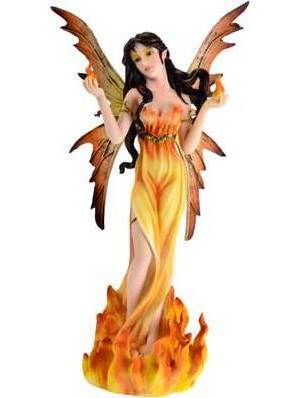 Part of a set of four stunning fairy statues dedicated to the elements. Unbelievable detail and viewable from any angle. Hand painted cold cast resin. 12" x 4" x 4"
Blue Dragon Statue with Stone 4"